Updated: Sept. 12, 2018, 7:16 p.m.
John Dillon Joyner, 25, of Sylvania, was spotted early Wednesday at a church on Westside Road near Bulloch Academy and was reported by a witness as suspicious, said Bulloch County sheriff’s Capt. Todd Hutchens. When a sheriff’s deputy investigated and questioned Joyner, he gave a false name and birthdate. When deputies learned he had given false information, they went to place him in handcuffs when the suspect became “fidgety” and then ran, he said. Joyner took off across Bulloch Academy’s campus, resulting in the private school going into lockdown. The lockdown was lifted around 12:15 p.m. when Joyner was spotted on Country Club Road, said Pat Collins, facility director and head football coach at the school. Bulloch County Schools officials chose to place Julia P. Bryant Elementary and William James Middle schools on a “soft lockdown” for a brief time Wednesday, but the lockdowns were lifted after Joyner’s arrest, said Bulloch County Schools Marketing Director Hayley Greene. The Georgia State Patrol Aviation Unit (helicopter) and Statesboro police officers joined in the hunt as Joyner was seen coming out of woods on Country Club Road near Veteran’s Memorial Parkway, close to an area with businesses and a doctor’s office, according to reports issued over police radio. Bulloch County sheriff’s K9 teams Cpl. Mark Guarino and Gismo and Cpl. Ryan Norton and Dutch engaged in the hunt for Joyner as well, and after about four hours of searching, Guarino spotted Joyner and deployed Gismo, Hutchens said. 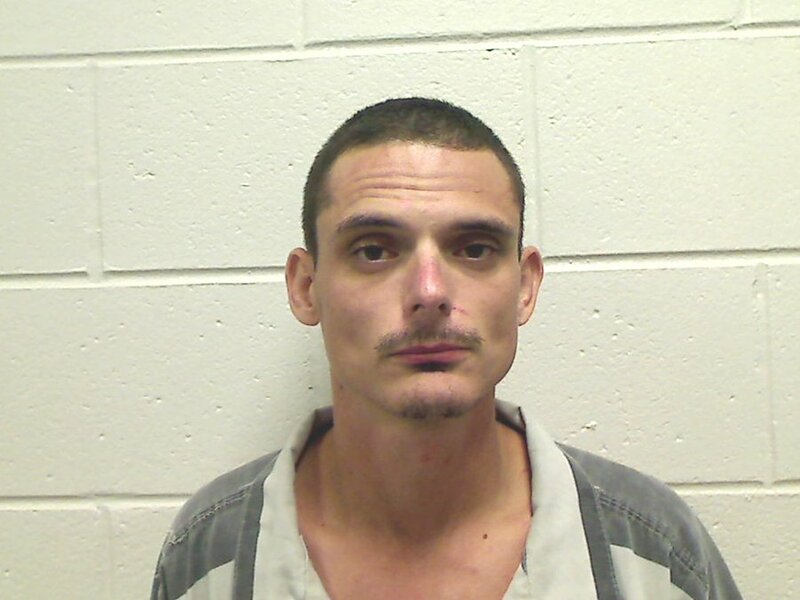 Gismo apprehended Joyner, catching him in a bite hold until Guarino and other deputies could take him into custody, he said. Deputies called for EMS to treat a dog bite shortly after Joyner’s apprehension, according to reports overheard on police radio. Hutchens said the bite wound was minor. Joyner was taken to the Bulloch County Jail, where he was booked on the parole violation warrant as well as other charges.